If your house has multiple floors, and you have or are expecting to welcome a new child into your home, you definitely want to consider childproofing your stairs. 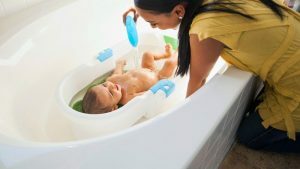 Soon enough, your baby will start crawling and toddling, eagerly setting about exploring their surroundings – and the last thing you want is for them to get hurt tumbling down a flight of stairs! To learn some steps to make sure your stairs are baby-proof and safe, read on! If your child is not yet a competent walker, then there really is no way to safely allow them to go up or down without your help – so you want to be sure to secure both the top and the bottom of the staircase. Here are some methods and other factors to consider for childproofing your stairs! 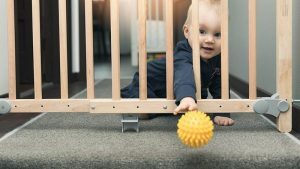 The simplest and most obvious way to keep your baby away from the top or bottom of a staircase is to set up a baby gate. Make sure you get a baby gate that completely blocks access to the stairs – all toddlers are excellent escape artists! While setting up your baby gate, make sure you read the instructions thoroughly. It is essential that the baby gate be stable and secure; an early walker can easily pull down an unstable baby gate. This is particularly necessary for the gate at the top of the stairs because at least your baby will not be falling far if they get at the bottom of the stairs. You may have to drill into the banister or wall near the staircase in order to securely mount the gate. You also don’t want the baby gate to fall over onto your baby. Accordion baby gates are particularly hazardous if they fall over under a child’s weight, as they can trap and pinch your baby underneath them. When walking through a baby gate, be sure to completely close it behind you, even though this takes more time than just allowing it to swing shut. If you leave the gate open by mistake, that defeats the purpose of putting it up in the first place! Of course, once your baby begins to learn how to climb, it will be time to get rid of the baby gates, lest they seem a tempting yet hazardous climbing wall. At that point, it will be time to teach your older toddler how to use the stairs! Like any piece of furniture, stairs can grow worn with repeated use. Every time you set foot on a stair or grab a banister, you add a little bit of wear and tear to the staircase. A set of stairs with exposed nails, loose steps, or rough edges can be both hazardous for your child and for yourself – you do not want to step on a nail and fall over while holding your baby, nor do you want your toddler to step on the nail on their own! Regularly inspect your staircase for wear and flaws, and fix them as soon as you find them. If your staircase does not have a banister at all, you may want to consider putting one up, to give your new walker something to hold on to while they explore. The banister will also keep your child from falling off the side of the staircase! However, it is important to keep in mind that even if your baby is too big to slip through the spaces in the banister railing, they can still get their head or limbs stuck between the slats, causing distress or even injury. The solution to this is to get a banister guard. A banister guard is a sturdy netting or sheet that covers the slats on a railing. You can buy a banister guard or make one yourself at home, choosing a style that fits your house’s décor. When you set up your banister guard, be sure to test it by pressing your hand against it with some force. 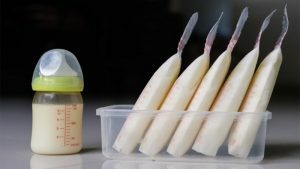 It should be strong and firm enough to keep your child from ripping it with their weight! As your child learns how to walk and climb and gains access to the staircase, you want to be sure that they have the best chance to avoid injuries from falling. We call them toddlers because they toddle, after all, so slips and falls will happen! To alleviate that harm, put carpeting on your stairs, instead of hardwood flooring. Your child’s feet are much less likely to slip on carpet than they are on wood, and when they do fall, a carpeted staircase will make for a much softer landing than wood would. Carpet will also help you avoid falling over while carrying your baby up the stairs! It is very easy to let your stairs become covered with stuff – your kid’s toys, books that didn’t make it back to the shelf, and even discarded clothing. All of these items are an accident waiting to happen when you or your child sets foot on something other than the stair itself. Whenever you see an object sitting on the steps, pick it up and put it away to avoid anyone tripping over it later! If you can’t see the steps on your staircase, then you run the risk of taking the wrong step. Make sure that your staircases are well-lighted, without excessive glare or shadows. It is also a good idea to install light switches for the staircase lighting at both the top and the bottom of the stairs, so that no matter which floor of the house you are on, you can turn the staircase lights on and off. You might also consider plugging a nightlight into a nearby outlet so that children who cannot yet reach the light switch can still see where they are going! 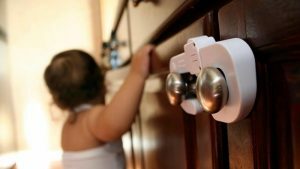 Now you know everything that you need to know about childproofing your stairs, and you are prepared to make your house safe for your little one! We are a team of experts committed to promoting reproductive and pregnancy wellness through education, support, and awareness. Regardless of the question, we deliver instant answers and provide access to pertinent resources.